The Canadian insurance giant, Fairfax Financial Holdings, has bowed out of its battle for Tower in the wake of Vero putting a ‘superior’ offer on the table. Fairfax and NZX-listed Tower have “mutually agreed” to terminate their Scheme Implementation Agreement. Under the Agreement, signed on February 9, Fairfax had proposed to buy all of Tower’s shares for $1.17 per share, pending shareholder and regulatory approval. The Fairfax deal won the backing of Salt Funds Management and Accident Compensation Corp, which collectively own 18% of Tower. 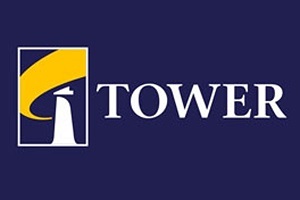 However it’s been quashed by Vero on Tuesday entering in to a Scheme Implementation Agreement with Tower, whereby it has proposed to buy all of Tower’s shares for $1.40 each. Vero - the New Zealand arm of the ASX-listed company Suncorp - already owns 19.99% of Tower’s shares. The Fairfax Agreement has a ‘break fee’ of nearly $2 million. Furthermore, he said Tower would “more than likely” need to cover the costs of the offer that Fairfax incurred of up to $400,000. If Vero gets shareholder and regulatory approval to take over Tower, it, along with its joint venture partner AA Insurance, will increase its share of the New Zealand general insurance market from 25% to 30%. Together with Insurance Australia Group (IAG), this would see the two large Australian corporates control 76% of the market. What an utter fiasco. All the Machiavellian machinations could not put Humpty back together again. Congratulations to Suncorp you have, in my opinion of course, revealed what a cart load of monkeys the Tower board and management have been, still are it would seem. Cronied up to Fairfax, desperate attempt to save board seats & executive packages. Nothing in it for policyholders though, particularly EQ claimants most of whom will be pleased to see, more than probably, the end of some pretty obnoxious claims handlers, assessors and worst of of all Tower's solicitors. Commerce Commission now must approve Suncorp, otherwise the government takes on another Sthn Response black hole. It's a fair accompli and all the double speak by the chairman cannot smooth over the cost of some millions or so of dollars Tower have not got, when considering the recent BNZ emergency loan. At a $1.40 a share though, most shareholders will be hugely relieved but it is glaringly obvious, in my opinion of course, that this company has been directed and managed to a very high degree of incompetence. For instance, I am still waiting for some accounting expertise to explain how the $40mill Peak -re re-insurance , which is subject to complex court action, of highly uncertain outcome, can appear on Tower's books as a current asset????! Jenée Tibshraeny "Where to now with tax reform? A debrief with the Finance Minister "